Motorcycles are lots of fun. There's a freedom to being on a bike, one that cannot be recreated with other kinds of vehicles. Yet motorcyclists face many dangers on the road that have to be noted. The lawyers of the Foley Law Firm understand this, and we have helped countless motorcyclists throughout Scranton following serious injuries. We want to take a moment to consider the common causes of motorcycle accidents so you can exercise caution the next time you go out for a ride. 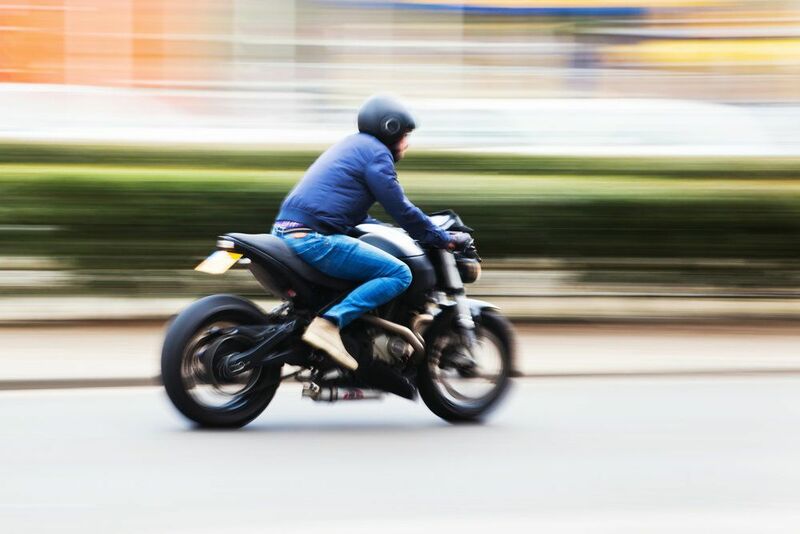 Speeding is one of the leading causes of many motor vehicles, so it should come as no surprise that motorcyclists may be more prone to accidents if they exceed the speed limit. In addition, other motorists speeding increase the risk of deadly collisions. This is just another reason why all motorists should follow posted speed limits. Operating a motorcycle safely can take time to master, and it's important for people new to motorcycles that they exercise extra caution while on the road. Inexperience on a motorcycle has contributed to a number of deadly collisions over the years. Driving while under the influence of alcohol, illicit drugs, or other controlled substances is one of the most dangerous things you can do. It impairs your decision-making abilities and also affects your reflexes and reaction times. Never operate a motorcycle or any vehicle if you are not sober. Motorcycles are relatively small compared to other vehicles, and they can potentially get lost in blindspots. When drivers are distracted or inattentive, they may strike or collide with motorcyclists. It's important that motorcyclists be extra attentive of their surroundings and ensuring they are in view of any vehicles around them. Sometimes an accident occurs due to a problem with vehicle design or with components/parts of a vehicle. In such cases, the motorcycle manufacturer or the designer of the defective part needs to be held accountable for the accident occurring. When there is debris on the road, potholes, major damage on road surfaces, or tight/blind turns, this can result in hazardous driving conditions. Poor lighting or a lack of lines on the road can similarly lead to major trouble to even the most careful driver. This can lead to major dangers for motorcyclists. When it's raining, snowing, or there's ice and moisture present, a relatively safe stretch of road can become far more hazardous. When there's bad weather, be sure to be extra careful when you get on your motorcycle, or perhaps try to avoid the bad weather entirely to begin with. If you or someone you care about was harmed in a motorcycle accident that was the fault of another person or party, we can help you pursue a lawsuit against said party. We will provide expert legal counsel every step of the way. For more information about your legal options after a motorcycle accident, be sure to contact our personal injury lawyers today. The attorneys of the Foley Law Firm will help you in your time of legal need.